After years of experience in the wine industry, Angel Sánchez Redondo, a passionate winemaker, made his project a reality in 2000 in the city of Plasencia. He founded Bodegas y Viñedos Angel Sánchez Redondo, a family business with a clear philosophy: to produce high quality organic wines. 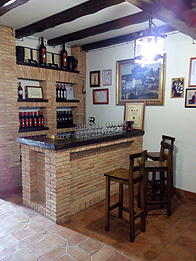 The winery, located in the heart of the vineyard, is located in a privileged geographic location. The enclave is at the doors of the Valle del Jerte and at foothills of Sierra de Santa Barbara, opposite the city of Plasencia. 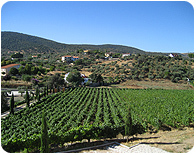 The vineyards are situated on steep terraces, with limestone-clay soils high in slate content, offering a special uniqueness to the quality of the wines, resulting in low yields and high concentrations of great compounds for the grape. WHY WE CHOSE ORGANIC AGRICULTURE? 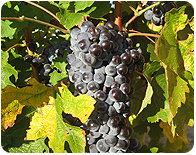 This vineyard was born due to a very special circumstance; the founder of the winery, Ángel Sánchez Redondo, was recommended to drink red wine after overcoming a cardiovascular health problem. Research suggests that moderate consumption of products derived from grapes, especially red wine, are rich in polyphenols which is associated with a lower risk of cardiovascular disease, cancer and other chronic diseases. 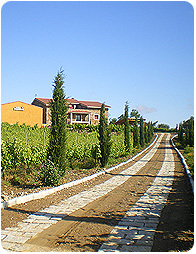 With the objective to consume red wine to improve his health, he decided to plant his own vines and cultivate them in the healthiest way possible. At Viña Placentina, we firmly believe that the health of our land is of utmost importance for the production of healthy quality wines, so much so, that all farming is free of synthetic chemical products. Our production is monitored and certified by the Board of Organic Farming in Extremadura (CAEX), under European Regulation 2092/91. Since we introduced our first wine in the year 2000, through hard work and perseverance we continue to make quality wines that reflect and strengthen our involvement in this project with this land. Through our wines, organized visits to the winery and wine tastings, Bodegas y Viñedos Angel Sánchez Redondo wants to convey to everyone not only its commitment to Extremadura, but above all its dedication and passion for the world of wine.